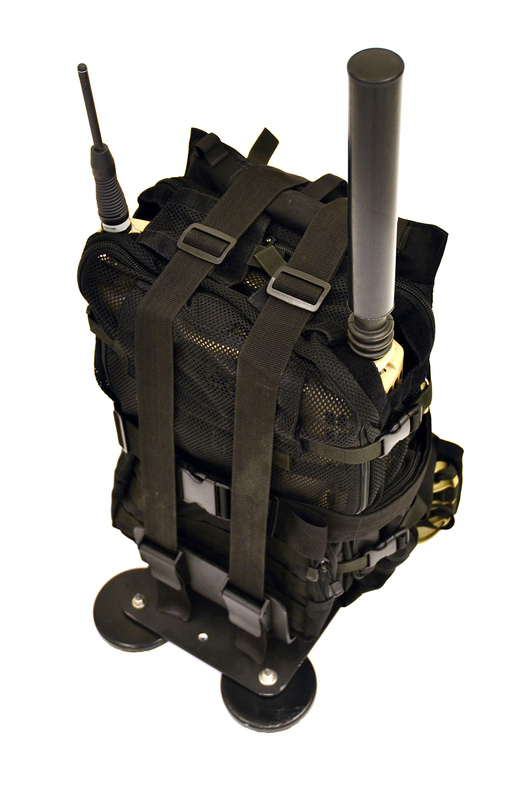 EDEY FX was tasked with designing and manufacturing a quick-release mounting solution for portable jamming systems to be rapidly mounted to external faces of a civilian or military personnel vehicle. Our vehicle mounting solution allows for magnetic or bolt-on mounting on either a vertical or horizontal surface. The mounting plate for the portable jammer is vibration-isolated from the vehicle mounting plate to reduce vibration and excessive G-force to the jammer that may occur during high speed off-road driving.